Shown below are images of a wide range of our products. Click thumbnails to see a larger image of the product. Please click on the links just below to take you to your desired category of our products. If you would like to place an order, please do so via our order form. If you have any questions about our product(s) please ask through the contact page. Our outdoor furniture is made to last , no need to be scared to sit or even dance on this furniture! Our outdoor furniture is strong and sturdy and not likely to blow away in a big gust of wind! So you wont need to be picking up your outdoor furniture from your neighbors pool. You can spend your summer days sitting back and relaxing on these very comfortable pieces of furniture that are sure to enhance your garden area. Our indoor furniture is made by experienced and talented craftsmen to give you beautiful, long lasting and well built furniture to compliment your decor. 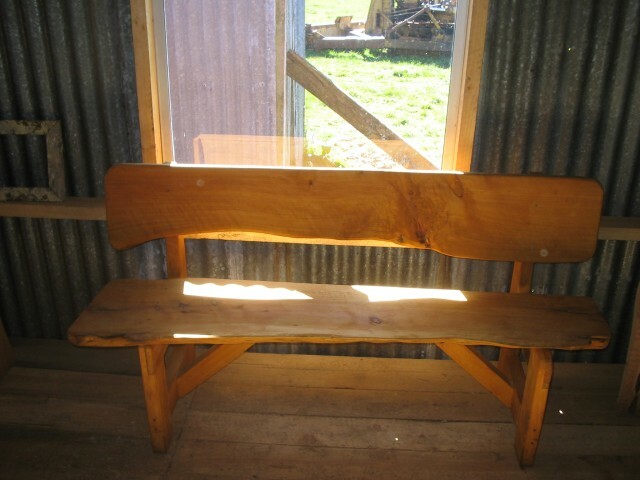 We have a wide variety of timber which we can use, including Rimu, Honeysuckle, Matai, Macrocarpa and Swamp Totara. What a better way to dine than to sit at these elegant sets. Strong and sturdy, made from our wide variety of timbers, such as Redwood,Macrocarpa and Rimu - you can even have a choice of turned legs, slabs or dressed timber. These pictures are just an indication of what is available, we have all different sizes from your small coffee table to your large boardroom table. You are more than welcome to come and choose your own special slab from our large range which we can then make into a custom made piece of furniture for you. We have Macrocarpa, Hardwood and Redwood timbers available, which are suitable for the outdoors or indoors. We can make just about anything you can imagine! 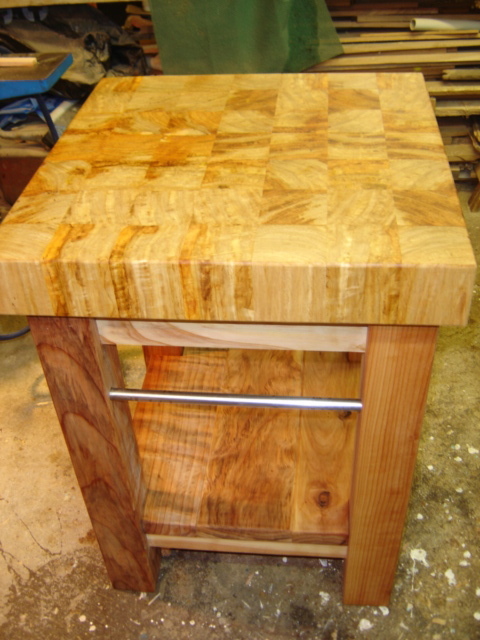 You can choose different finishing for your furniture from a natural linseed oil mix, to different colour stains. 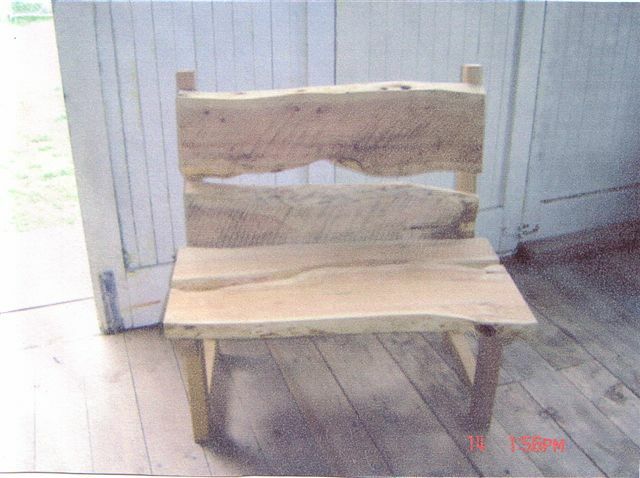 You are more than welcome to call in to our sawmill and view our range already made, or e-mail us for photos of our newly made rustic furniture. Our garden features are made with the idea of producing something that is different and sets your garden apart, from others, Our products are made from natural timbers that are suitable for the outdoors. We can make garden feature items in a variety of sizes and styles for you with a natural linseed oil mix or a choice of different wood stains. Our planters are made from Macrocarpa giving you a natural product that is safe for your plants to grow in with no fear of chemical contamination. We have a wide variety of styles and sizes to suit your decor. If you're looking for that something extra special, for a gift that is different or just to treat yourself, we have many handcrafted items made from natural timber and other items. At request, we can also gift wrap your purchases. Clocks, Letterboxes, Magazine racks - We can make almost anything!